It has become every day’s job to write different types of content for different users and specifically the target audience. This has given rise to correct SEO techniques, and the underlying reason for it is the growing market and increasing competition. Every company has put their best men on the job who try their best to beat the competition hence, by practising a certain set of SEO rules one can get the most effective outcome. To ensure that company and their owners are at par to understand and apply the same correctly in the real-time situation, we are highlighting some SEO mistakes that anyone dealing with SEO in Melbourne must evade. With so much pressure on SEO performance, nobody wants to take risk hence, people end up neglecting the old content. However, your old website may need some amendments/changes but it does not mean that one needs to completely discard the old website content. Instead, your old website content needs to be replaced with better content and keywords that are more appropriate. You can use the best analytics tool or contacts SEO Melbourne professional who will discover ways to upgrade your old website content. If you think SEO practice can be performed with a single keyword then gone are the days. SEO has come far ahead, the old practice needs to be changed and new practices need to be adopted as per current technological trends. Instead, using multiple keywords and placing them in the right place needs to be adapted. Links are an important part of search engine optimization. it is important for promoting your website and engaging people. You must look at the opportunity to link your website by creating valuable internal and external links. Broken or old links can often degrade your website quality and also start impacting your search engine rankings. It is important to regularly check your website links and ensure they are not broken. As content is considered to be the King, it becomes important that it is unique. Knowing the important the content at any given point of time should be unique. However, Google leaves you with no choice other than having fresh and unique content as repeated duplicate content will be liable for penalty and ranking of your web page will automatically go down. Thus, it becomes a mandate for SEO companies to ensure that the content they are using is of good quality. Being a long and tedious process the importance of SEO increases and the companies are bound to take it very seriously. Any mistake in planning or implementing SEO services can result in damage to the company’s brand identity and incur financial losses. Looking at the damage one can face it becomes necessary to hire an SEO Melbourne company. 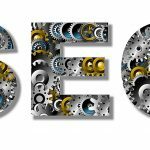 as Platinum SEO services are one such company that provides SEO services to a high standard across Melbourne.